It was 2003 when I first discovered that there were actually people who were “Professional Organizers.” Do you remember the show “Clean Sweep?” That was the beginning for me. I wanted to be Necee from the show. I started brainstorming names for my business. 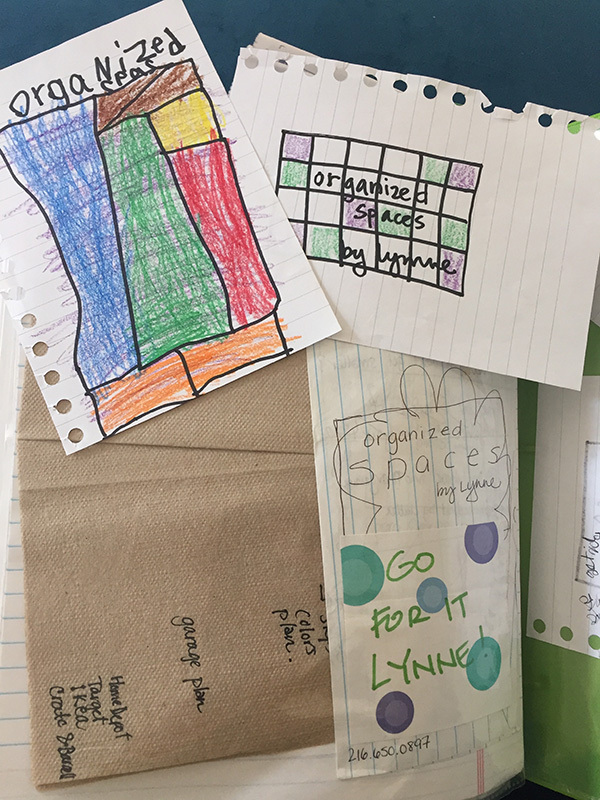 My first business name, in 2006, was Organized Spaces by Lynne. I’m glad I changed the name because I don’t organize for people, rather I partner with people on their organizing journey. Many of the partnerships result in organized spaces however it is not the absolute focus, rather we focus on decision making, forming different habits and defining what success means to my client. After working together my clients often hear themselves say “done is better than perfect,” or “this is good enough,” or “someone needs this more than me.” My clients are incredibly smart, funny, creative, ready for change, brave and kind. A large majority of my clients are dog and cat owners. My clients were incredibly compassionate when they learned that we had to put Phoebe the schnauzer down on September 18th of this year. In the years that I have owned Wholly Organized!® my clients have taught me useful information about carving equipment, great authors, marbles, designer clothing, cameras… My clients have also taught me life lessons like the importance of slowing down, living with less, being in the moment, not to give up, that things can change in an instant… I’ve grown to understand various perspectives on death and grief, money, material items, family, friends, traveling, pets, kids, parents, holidays, art and what makes someone's house their home. The varying degrees of the value of things is beyond fascinating! Made a conscious decision to reduce our personal belongings and size of home by more than half. Obtained training in Chronic Disorganization and Hoarding to compliment my Social Work background to be more effective with clients. Welcomed a dog into our lives and will certainly do this again. Undoubtedly, I would not be sharing any of this if it were not for Wholly Organized! clients who welcome me into their homes, hearts and lives. I am grateful for their ability and willingness to share.